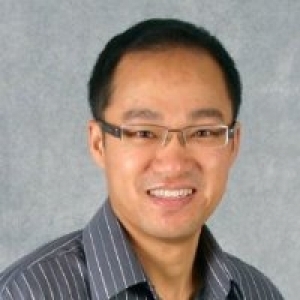 Senior Network Architect, Akamai Technologies Kams Yeung is a Senior Network Architect at Akamai Technologies, the world’s largest CDN. Kams has responsibilities primarily covering peering, routed interconnections and capacity planning. Kams is a 16-year veteran of the Internet industry and an international network engineering, operations and data center professional. 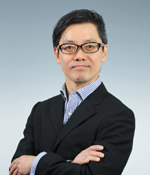 He has served as an infrastructure team member during APRICOT-APAN 2011. Before Akamai, Kams was Product Manager at Equinix, and Senior Manager, IP Engineering at Pacnet. He’s a regular supporter of APRICOT, APNIC, APF, and other industry community gatherings. Senior Manager, Security Response, Symantec Corporation Eugene Teo heads a multi-functional security team that he built from the ground up at Symantec. Prior to joining Symantec, he was a senior member of Red Hat’s product security team where he played a pivotal role in investigating, reporting and managing security flaws reported in the Linux kernel. He was also a member of the upstream Linux kernel security team (kernel.org). Eugene holds Bachelor’s and Master’s degrees in Computing from the National University of Singapore. His professional certifications include CISM, RHCE, RHCA, RHCSS, RHCDS, and RHCVA. Eugene has spoken at numerous conferences, including Symantec CIO Engage, Red Hat Summit, SyScAN, GNOME.Asia, and Linux Conference Australia. Director of Solutions and Sales Engineering, BTI Systems Dion Leung joined BTI Systems as the Director of Solutions and Sales Engineering and is currently based in Singapore. In this role, he is responsible for regional pre-sales activities across the Asia Pacific region, and serving customers in the Data Center and Telecom Carrier segments. In the past, Dion held various senior positions in pre-sales and product marketing at Tellabs (now Coriant), Cramer Systems (now Amdocs), and R&D engineering positions at TRLabs, PMC-Sierra and Nortel. Dion graduated with a Ph.D. degree in Electrical & Computing Engineering from the University of Alberta, Canada. He holds several patents, authored technical publications in the area of optical networking, and has been selected as technical program committee of optical networking conferences such as OFC/NFOEC and DRCN. Director, Interconnection Strategy, Hurricane Electric Walt Wollny Hurricane Electric AS6939 – 1 year Director Interconnection Strategy – supporting the network to reach to over 22 countries and over 100 Internet Exchanges. Focus on Global connectivity. Amazon AS16509 – 4 years Developed IP Transit and Peering on five continents. Primary focus on Japan, Singapore, Hong Kong, India, Taiwan, Philippines, Australia. Over 62 new CDN sites. Microsoft AS8075 – 13 years Developed IP Transit and Peering on four continents. Primary focus on US, UE and South America. Chief Architect, eintellego Networks Pty Ltd Skeeve Stevens is the founder and Chief Network Architect of eintellego Networks which is a specialist network integrator and management integrator with staff across the APNIC region. He is a former APNIC Policy SIG Co-Chair and former Director of the Internet Society of Australia. 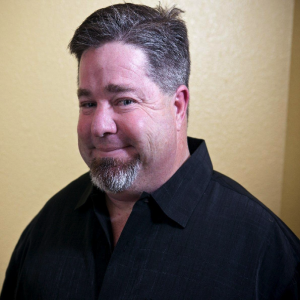 He speaks on many technical subjects, but is focusing on the future of networking. 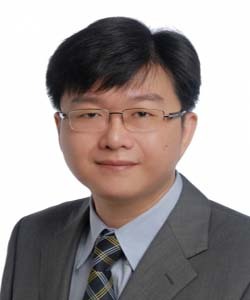 Deputy Director (Next Generation Cellular Networks), Infocomm Development Authority of Singapore Mr Henry Quek is the Deputy Director for Next Generation Cellular Networks at the Infocomm Development Authority (IDA) of Singapore. He is part of the Next Generation Infrastructure Group which oversees the development of national leve ICT infrastructure for Singapore.Henry is currently part of the core team responsible for planning Singapore’s upcoming nationwide sensor network as well as leading collaborations with the industry on heterogenous networks and other government-led projects. His past projects include the Next Generation Nationwide Broadband Network (NGNBN) in Singapore which brings optical fibre to every home and businesses, where he played both technical and strategy roles. 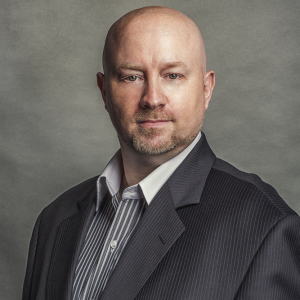 His expertise includes strategy development, dialogue with industry players as well as internal selling to convince stakeholders.Henry has been with IDA for the past 10 years. Before joining IDA, he was part of the Singapore Public Service’s Strategic Policy Office that facilitates whole-of-government strategic planning. Henry holds a Masters of Engineering from Cambridge University, UK. Solutions Architect, Arbor Networks With more than 20 years of experience in the networking industry, CF is a veteran in designing, implementing, and supporting highly available network systems and solutions. In this current role with Arbor Networks, apart from actively involved in the global research projects, CF works closely with customers in the Asia Pacific region to develop and optimize approaches for their network security solution to ensure optimal deployment and best customer satisfaction.Prior to joining Arbor Networks, CF had held different regional positions in pre- and post-sales roles for various large core routing and switching vendors. His expertise lies mainly in the areas of Internet routing technology, network threat detection and network visibility solutions.CF is based in Hong Kong and holds a Bachelor’s degree in Electronic Engineering from Poly University in Hong Kong. Senior IT Architect, National University of Singapore Lai Zit Seng is the Senior IT Architect at School of Computing, National University of Singapore, where he is principally responsible for IT infrastructure services. His portfolio includes data centre, network, server, storage, and security operations. He is an active supporter of open source projects and occasionally tinkers in hardware. In his spare time, he also runs a technology and lifestyle blog at https://zitseng.com. Senior Internet Resource Analyst/Liaison Officer, APNIC Anna Mulingbayan is APNIC’s Senior Internet Resource Analyst and Liaison Officer for the South East Asia region. Since 2001, Anna has played a key role in evaluating and analyzing network plans from members and the community.